Welco Electrical and Heating Services has been successful in providing a professional service for clients for over 20 years. Many clients have expressed their satisfaction at the excellent quality of workmanship, response time and good customer service they have received from WELCO. Clients have often returned to reuse the service. 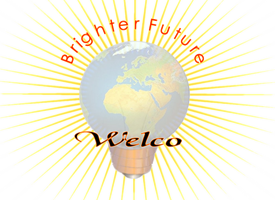 Our company slogan is: "Creating a brighter future with WELCO"
"I just wanted to say how impressed I was with your engineer Christopher. I was given a text with an E.T.A which was brilliant and throughout the job he kept me in the picture about the repair, explaining the work he was carrying out. He left everything clean and tidy after he'd finished the job and made sure everything was working well. He was very pleasant and easy to deal with. Will be recommending Welco services to others." "Good Morning Christopher, just letting you know that I still have hot water this morning.... I had a lovely shower yesterday..... Thanks and have a great day.... Norma." "Before he arrived to fox the fault with my boiler he called me 30 mins before which I felt was helpful. When he arrived he was very polite but in a laid back way and I was able to have normal conversations about tily talk and discuss issues about the boiler." "He seem very knowledgeable in his field and this was a good confidence, he located the fault quickly. Now the boiler works the way it should be. Thank you Christopher :)"
"I am exceptionally pleased with the engineer and standard of work at this property. The tenant was able to continue to enjoy her daily living tasks whilst having the immersion boiler coils replaced from the fixed unit. There was no mess and the workspace area was cleaned and cleared of all debris, with small furniture removed to its original position. Excellent work." "I had a problem with hot water boiler which was sorted out by your employee Christopher on Tuesday. This problem was dealt with twice before but they couldn't fix it this time it has done perfectly and so far it is in working order. I will contact you in case of any problem. thanks!" Hi, just wanted to give some feedback for Christopher after his visit to fix my boiler. I have to say that his friendly approachable manner and the professional way in which the job was completed was more than satisfactory. Would have hesitation recommending the service. Best regards Andy."